Updated 11-25-11. There are gazillions of pho videos on YouTube. 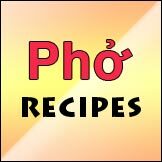 Among the 3,000 or so Vietnamese pho videos there are many how-to-cook, how-to-eat and a variety of other parody clips. After viewing a few of those, you'll wonder why you've wasted a good chunk of your life on them, time that you'll never get back in any shape or form. On the other hand, there are a few gems that will enhance your knowledge and appreciation of pho in many ways, and you'll be glad you've seen them. 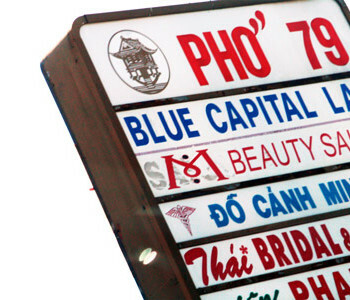 Below are some of the best pho-related YouTube videos worth seeing. They're not your run of the mill personal funny videos. They are quite entertaining and educational, and they definitely ooze personal styles and characteristics that make them unique. Above all they show a lot of care and thoughts put in both during the production and post-production. In addition, they also get the nod for treating pho with respect (though I'm still on the fence about the gigantic bowl of Pho Challenge at Pho Garden.) The magic of pho is really all about the broth, so anything showing large vats of brewing pho broth with huge ladles and crew buzzing to serve pho to hungry customers all get special consideration. Here are my youTube video picks in no particular order. The 2 Vietnamese-language videos are especially great documentaries. Maybe I'll find time to translate them sometime. Phở by the Multigenerational Cồ Family (currently 3rd, 4th and 5th generation,) from Town of Nam Định, Near Hà Nội (part 1.) In Vietnamese only. 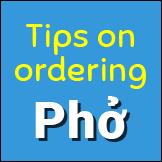 English transcription available at "Pho Dynasty: Pho Hanoi by the Multigenerational Co Family from Town of Nam Dinh, Part 1." 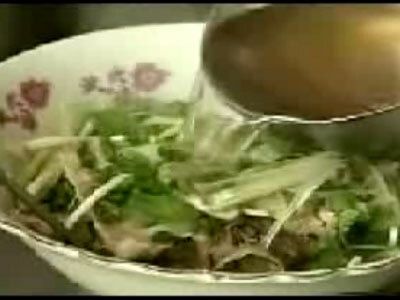 Phở by the Multigenerational Cồ Family (currently 3rd, 4th and 5th generation,) from Town of Nam Định, Near Hà Nội (part 2.) In Vietnamese only. 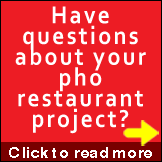 English transcription available at "Pho Dynasty: Pho Hanoi by the Multigenerational Co Family from Town of Nam Dinh, Part 2." Hi Pho: As far as I know this is the technique of pho Nam Dinh of the Co family. Others may do the same thing too, but it is basically what is commonly known as rare steak. 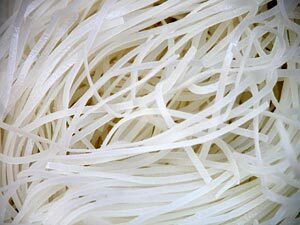 For mass production in common pho restaurants, machine slicing is the most economical, least laborious, and requires the least skills. That’s how you get those consistent, thin slices of rare steak. 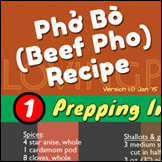 As suggested by Andrea Nguyen’s recipe (Beef Pho Noodle Soup Recipe (Pho Bo)) the raw meat may include eye of round, sirloin, London broil or tri-tip steak. For better quality pho like what you saw in the video, the skilled cook did slice the meat thinly. 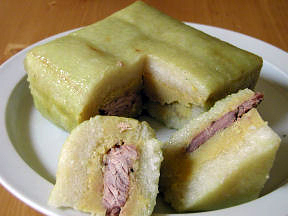 Many cooks end it there and just put the hand-sliced meat in the bowl and be done with it. This technique goes on to tenderize the meat; if you look closely you will see that the cook is not actually chopping the meat. He turns the cleaver upside down and uses the flat edge. Then the last step is to help the broth cook the raw meat by making the whole thing thinner. If you’re in Southern CA, I know Pho Nam Dinh in Little Saigon does this.